Mary Marsh: "My work explores the intersection of mass media, consumption, and personal habits. I am thinking about how information is delivered, how it is perceived, and the gap between presentation and meaning. Each new format for communication transforms the nature of our thinking, its access dependent on how it is controlled. 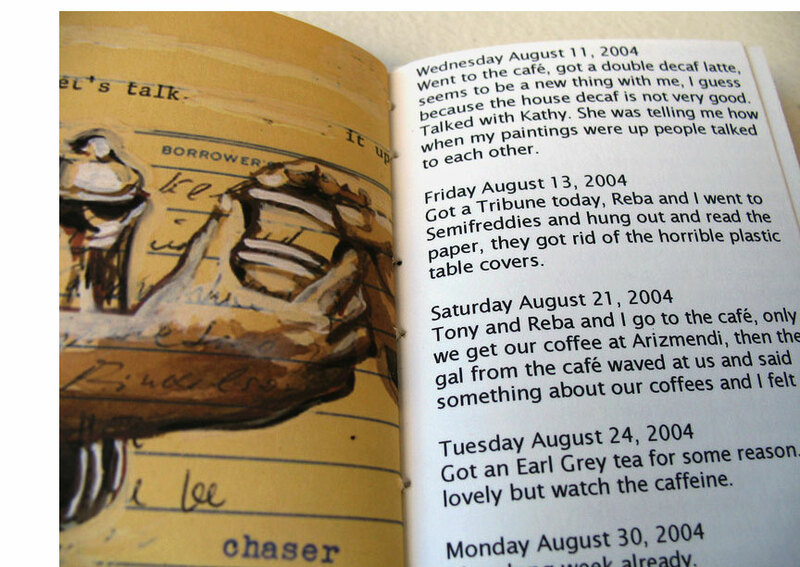 I record the patterns of my daily activities and observations of my surroundings in journal drawings and diary entries. These notes and ideas are synthesized with media images into prints, artist’s books, and assemblages. Materials and techniques suggest a history of printing, nostalgia, and anxiety from constant and rapid changes." Oakland, California: Quite Contrary Press, 2016. Edition of 15. 7.5” x 6.75” x 1.75”; 13 pages. 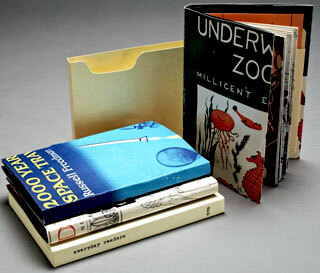 Accordion-fold. Letterpress printed using handset type and polymer plates. Linocut. Materials: Arches Coverpaper, hand-cut paper, wood, vertebrae. Bound in maple burl veneer front cover with window displaying vertebrae sewn to white paper. 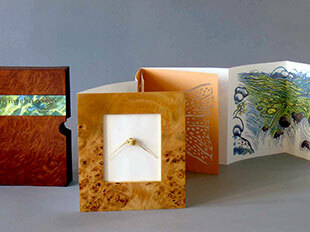 In slipcase of redwood veneer with title inkjet printed on illustrated paper strip. Numbered. Signed by an artist. A meditation on man's need to control nature - a collaboration of Mary V. Marsh and Tony Bellaver. Mary Marsh: "The making of this book has been a process of years of conversations while camping, backpacking and fly fishing. The close observation required for fly fishing reveals the interconnectedness of the river, trees, fish and insects. We reflect on our relationship to nature, the power and endurance of rivers, and our insignificance. We try to understand it through the lens of science and words. The river doesn’t care if we are here or not. We strive to see and respect the river, without naming or cultural construct. 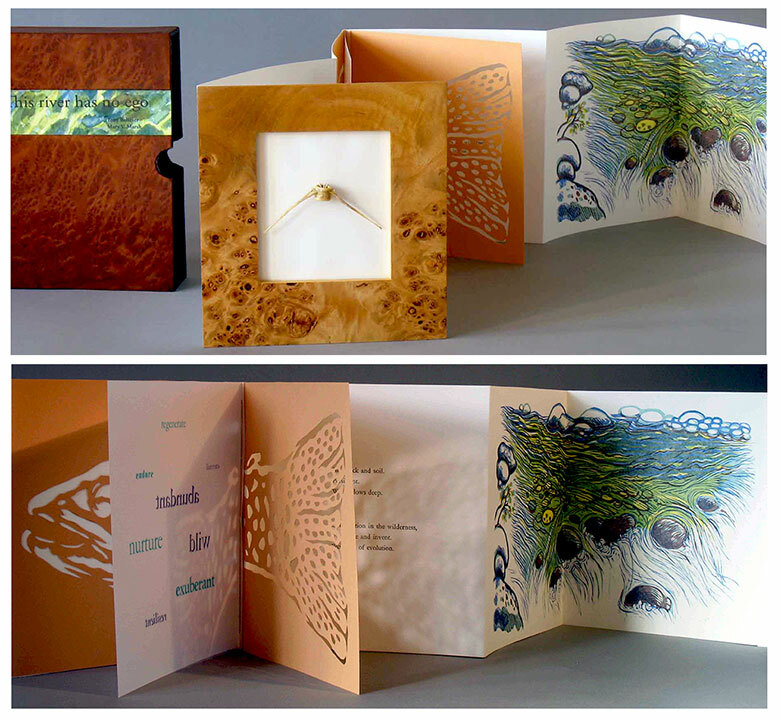 "From our sketchbook drawings and poetry we developed the content and designed the format collaboratively. The accordion structure allows the book to unfold in an uneven rhythm like a river. The maple burl and redwood veneer relates to trees around our favorite rivers of California. The salmon vertebrae shows one part of the cycle of life of the river." Quite Contrary Press: "Oakland based artist Tony Bellaver creates mixed media sculpture and drawings inspired by his love of hiking and nature. He incorporates maps, drawings, photographs, and found foliage gathered on his many hikes to create texture and meaning in his diary-like works. 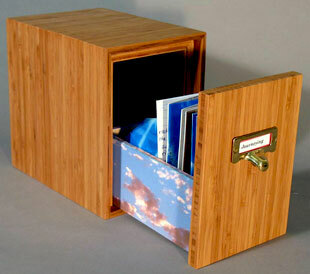 Using materials such as wood as the framework, found objects, and photographs he tells a layered story of his journeys. "Drawing people and scenes during her routine, and integrating them with journal entries, books, and artifacts collected, Mary V. Marsh explores the intersection of mass media, consumption, and personal habits. She looks at how information is delivered, how it is perceived and the gap between presentation and meaning." Tony Bellaver: "Responsive and proactive, we present a synthesis of two approaches of understanding the human environment and the natural environment. We stand apart as voyeurs, responding to what we see, and at the same time are active contributors. As a team, we put ourselves in the natural environment somewhere between viewer and participant. In our studio, Quite Contrary Press has become the expression of that experimentation, like a foundry using ideas and experience to craft words, images, and objects, collaboratively and individually." Oakland, California: Quite Contrary Press, 2013. Edition of 20. 3.75 x 4.25 x 1"; 54 pages. Handcarved rubber stamps, handset type on Arches 88. Longstitch binding with block print cover. Printed on Vandercook SP20 at Kala Art Institute. Banded. Mary Marsh, Colophon: "The history of news and information delivery is a story of changing culture. Every new medium transforms the nature of thinking. Access to each new technology is dependent on how it is controlled. The rapid and constant changes are a source of anxiety for me, so to better understand it I created this timeline." Oakland, California: Mary Marsh and Tony Bellaver, 2011. 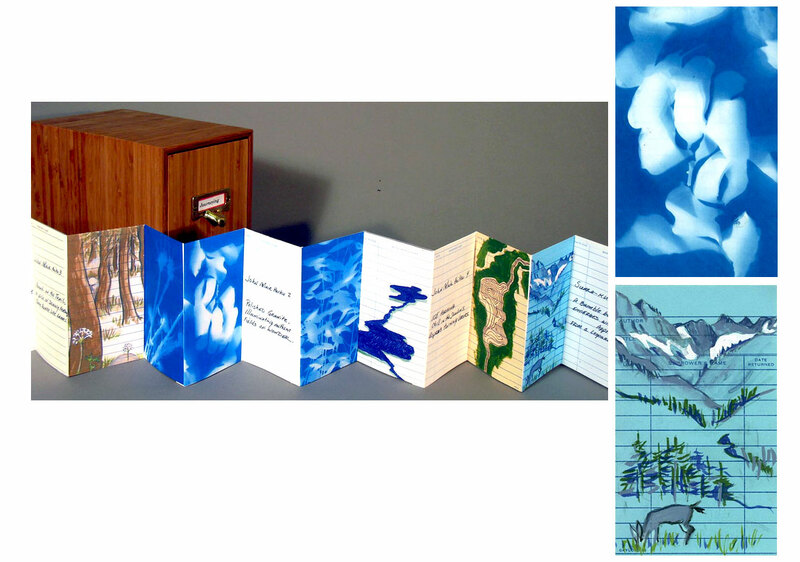 7 x 5.25 x 7.5" wooden box contains accordion book and paper object. Inkjet printing. Book: 5.8 x 2.8", 32 pages, double-sided accordion-fold. Paper sculpture: 5 x 3 x .5" truncated octahedron. Box: designed to resemble file cabinet, constructed of plyboo (plywood and bamboo), brass pull with slot for paper title, pull-out drawer. A collaborative project by Tony Bellaver and Mary V. Marsh consists of journal entries, sketchbook observations, haikus and drawings transcribed onto library cards. These record a love of backpacking, reading, collecting, discovering the natural world and making art together. Tony Bellaver, artist statement: "Oakland based artist Tony Bellaver creates mixed media sculpture and drawings inspired by his love of hiking and nature. He incorporates maps, drawings, photographs and found foliage gathered on his many hikes to create texture and meaning in his diary-like works. "While backpacking, Tony makes small journals during his treks to capture the experience of the places he's traveled through. This exercise gives him a better understanding of himself as an element in nature rather than the focal point. The journals become the source for larger sculptures, sometimes in book form, of what is in his mind. Using materials such as wood as the framework, plus found objects and photographs, he tells a layered story of his journeys." Mary V. Marsh, artist statement: "She collects and categorizes images and discarded library materials to look at reading, consuming and propaganda. 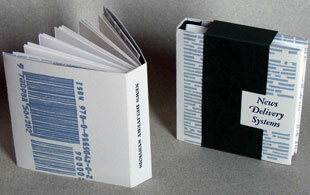 Images combined with found words on library checkout cards are made into one-of-a-kind and small-edition books. A shared love of hiking and journal keeping and practicing art together, has evolved into collaborative works with husband Tony Bellaver." Oakland, California: Quite Contrary Press, 2009. Open Numbered Edition. 3.75 x 5.5 x .5"; 16 pages. Handprinted block prints on library checkout cards, gouache, mulberry paper, brads, type. Bound in found vintage cover. Each book in the edition varies with the discarded library cards used. Slipcased in a manila folder. 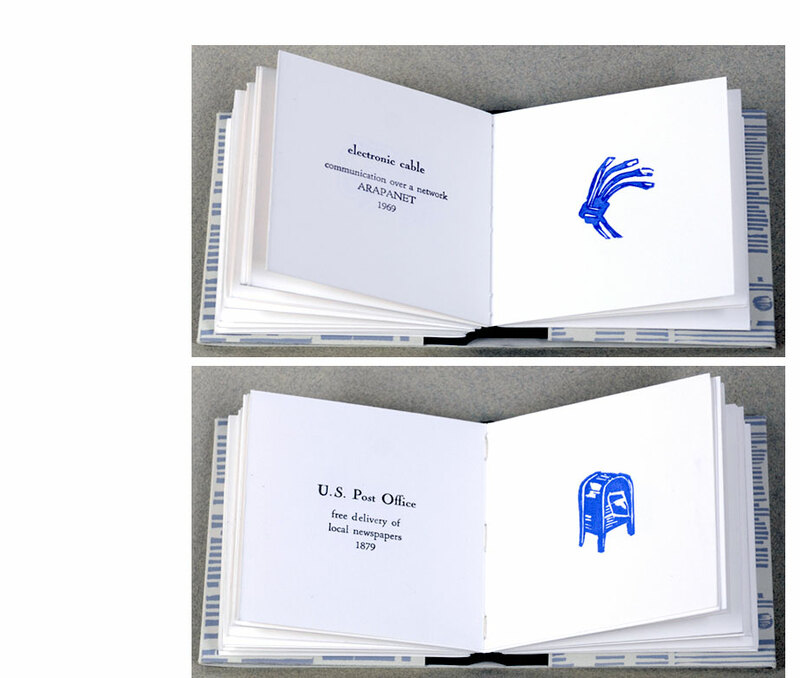 Mary Marsh: "Drawings of people reading made during my daily commute are translated into block prints and handprinted onto discarded library cards. The commuters engaged in their own private world intersect with book titles and signatures of past readers. The office materials used to construct each book imply tasks workers are bound for. The nostalgia of the old cards suggests a history of the changing methods of reading." Oakland, California: Quite Contrary Press, 2007. Edition of 40. 4 x 2.75"; 26 pages. 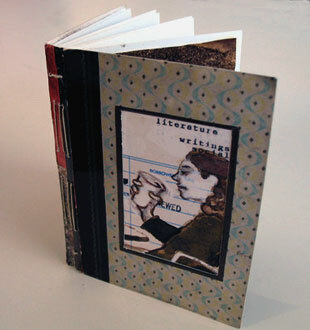 Three signatures, inkjet printed and hand-sewn into a heavy cardstock cover with cutout windows revealing images of a coffee drinker and a coffee cup. End pages are of used coffee filter. Materials: coffee filter, postcard. Mary Marsh: "A daily journal of buying coffee to-go. With each coffee purchased in 2004, I recorded the date and what I did while drinking it, writing directly on the cup. This project describes routines and events centered around getting coffee while doing other things." Oakland, California: Quite Contrary Press, 2014. Edition of 18. 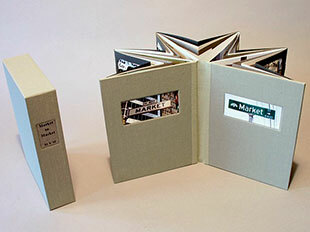 6.75 x 5.25 x 2" closed, opens to 6.75 x 9.5 x 9.5"; 5 double-page spreads. Handset type, photopolymer plates, watercolor, and inkjet on Rives BFK, Canson Mi-Tientes, and Enhanced Matte paper. Printed on the Vandercook SP20 at Kala Art Institute. Handcut and bound in carousel format. Slipcased. Signed and numbered by the artist. Mary Marsh: "Scenes from a daily journal of my commute by bus, bike, and BART from Oakland to San Francisco and back in 2012. Drawings of commuters are letterpress printed, handcolored, and cut out over a phone photo background. 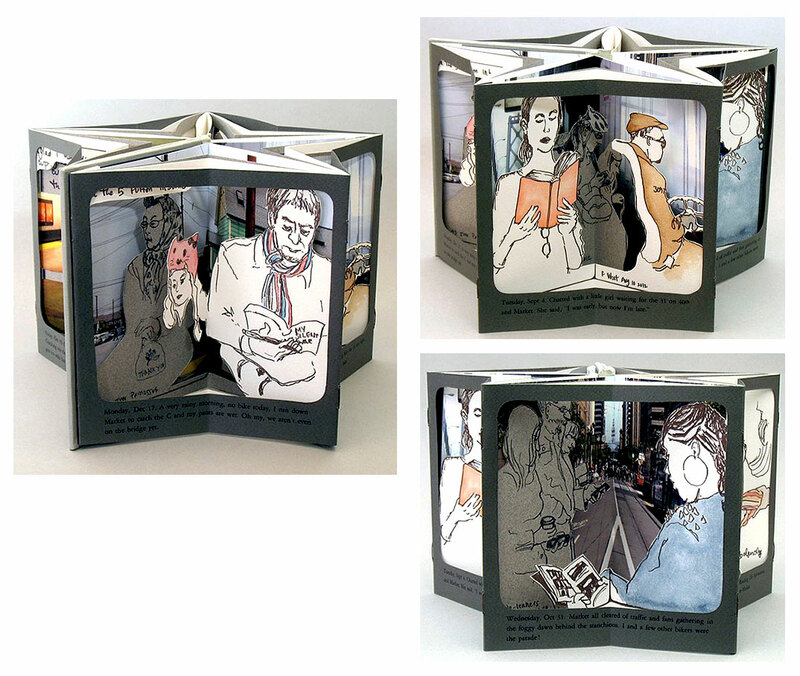 The five vignettes frame views through a bus window with a journal entry for each day of the work week."